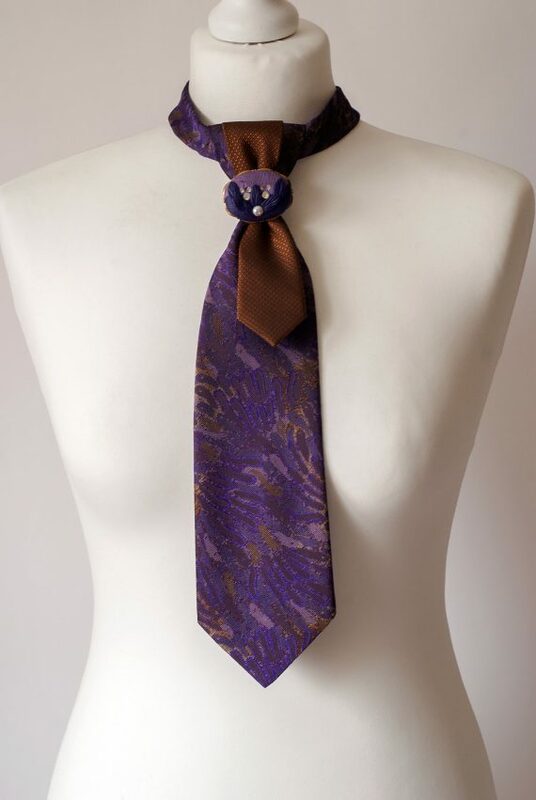 Purple Necktie Handmade from Two Different Vintage Neckties and Decorated with Fancy Vintage Style Brooch. Very Original Piece. This Necktie is made to fit, so please put your shirt size, neck measurement or short description in a box provided when making an order and we will make sure that it fits you perfectly.